The Greengate Project in Manchester by Renaker, consists of the construction of two major towers in the city, providing an all-inclusive residential development of 497 apartments in total. The new scheme boasts a variety of premium facilities to attract prospective residents including a 24/7 concierge service, an on-site gymnasium, as well as a residents lounge and communal kitchen. 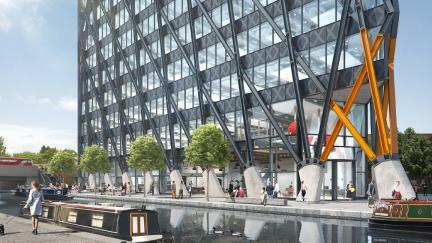 The project has been designed specifically for the PRS market (private rented sector). 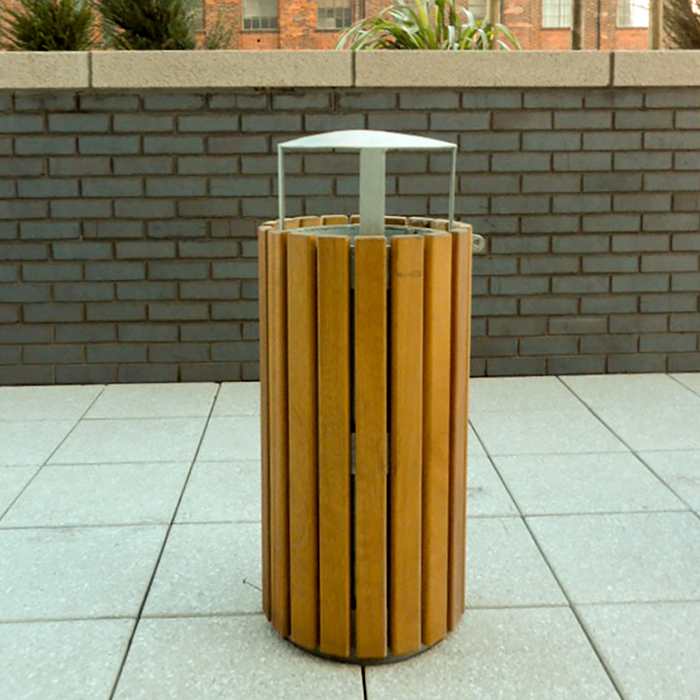 Bailey Streetscene were approached late-on in the scheme to advise on supplying a suitable external furniture package. 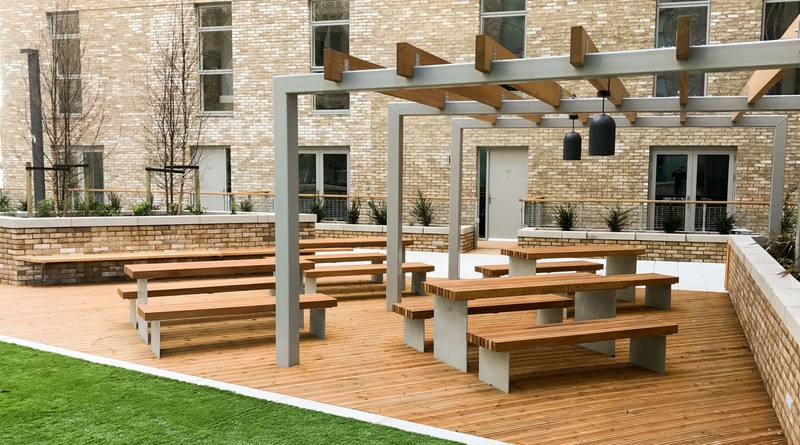 The majority of the furniture was to be used for a communal courtyard area for all residents to use. 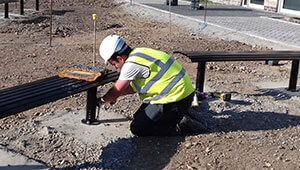 The furniture would have to be installed prior to flags and timber decking being installed by other trades people. 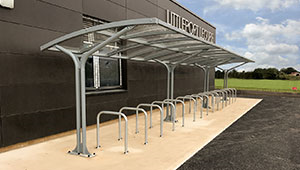 There were numerous customisations that needed to be millimetre perfect in order to meet aesthetic & site specific requirements such as the extension to the legs, so that the fixings were concealed after installation. 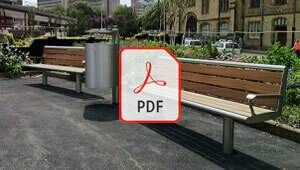 This would allow other contractors to work around the benches once they were installed. 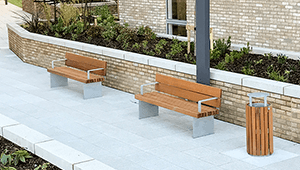 The range of furniture Streetscene proposed for the scheme was all designed by our in house design team, who had to ensure the products supplied matched the high spec of the project. This included examples such as the wall mounted bench, which was designed and manufactured before the wall it was to be fixed to had even been built. 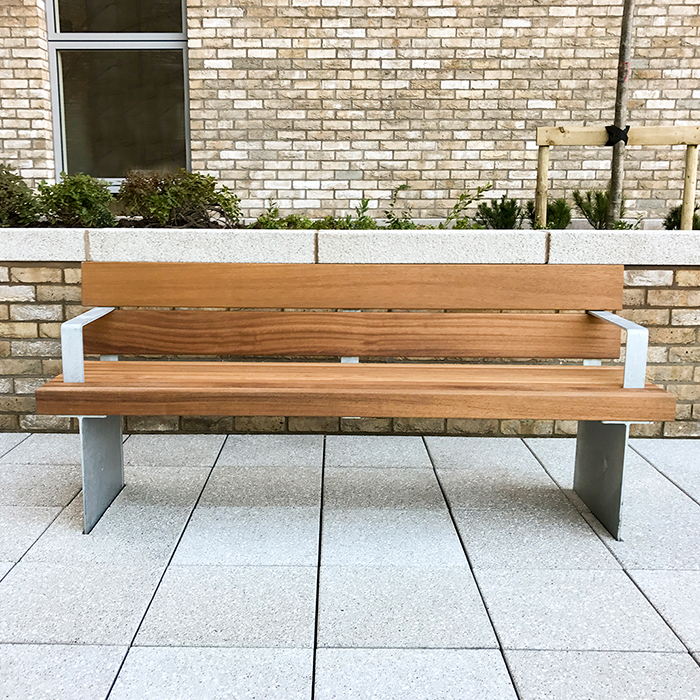 The precision engineered bench was able to be assembled & constructed on site by a Renaker joiner. 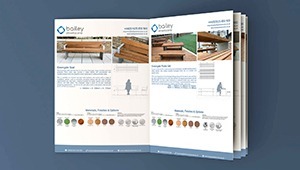 From the time the initial enquiry was received by Bailey Streetscene, they priced, designed, proposed drawings, approved, manufactured and installed the new products all within an eight week window. The project demonstrated not only a high level of flexibility and expertise in terms of bespoke products design, but all carried out under extremely short and demanding deadlines. 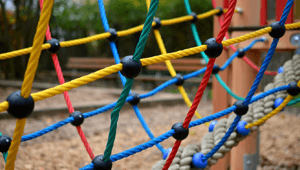 Through teamwork, ingenuity and with clear and frequent communication, all challenges were overcome and the end result of this project was a resounding success for all parties.